The optional 3.5-liter V-6 in the Transit costs at least $1,500 more and doesn’t offer much in the way of fuel-economy or towing perks. The 2019 Ford Transit is truth in advertising. It’s a cargo or passenger van with a straightforward look—it’s about what’s inside, not outside. This year, the Transit is unchanged from last year aside from wider opening doors in some configurations. The van is available in cargo, passenger, chassis, or cutaway cabs. For cargo and passenger vans, two wheelbases are on offer with regular, long, or extended bodies. 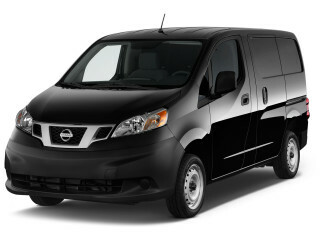 Low, medium, and high roof vans are available, while chassis and cutaway cabs get their own wheelbase dimensions. 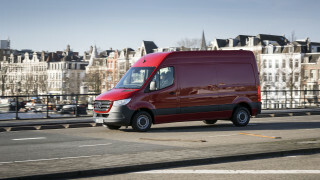 No two Transit vans may look alike leaving the factory, and many will get finishing touches at an upfitter. That means what Ford offers from the factory is less important than how easily the vans can be configured. The base engine is a stout 3.7-liter V-6 that makes 275 horsepower and 260 pound-feet of torque. An optional 3.5-liter turbocharged V-6 makes 310 hp and 400 lb-ft or a 3.2-liter turbodiesel makes 185 hp and 350 lb-ft. All engines are paired to a 6-speed automatic and rear-wheel drive only. Passenger configurations can carry up to 15 people, including the driver, a true team bus. Cargo configurations can hold more than 480 cubic feet of cargo, perhaps to transport the gym too? Base versions of the Transit are spartan affairs with vinyl seats and bare bones material. Upgraded cloth and audio are on the options list, if hauling people up and down a mountain is your aim. No Transit is particularly fuel efficient. Most versions manage combined mileage in the mid-teens. There’s no hiding the 2019 Ford Transit’s mission in life. The tall van won’t sneak up on many, and once you’ve seen it, you’ll get it. The exterior is better than the interior. The long snout of the van is fine, and the tall boxy affair along the sides gets at least some modicum of effort with stamping and running boards. Inside, the van is busy up front but features plenty of cubbies and storage bins for accumulated work detritus. Good engines and a good automatic transmission mean the 2019 Ford Transit gets the job done. Three engine choices give the 2019 Ford Transit variety—who said it was just a box on wheels? The base Transit is equipped with a 3.7-liter V-6 used in many Ford products that makes 275 horsepower and 260 pound-feet of torque. The optional engines are another Ford corporate V-6 that’s turbocharged and checks in at 310 hp and 400 lb-ft or a 3.2-liter inline-5 turbodiesel that makes 185 hp and 350 lb-ft. Properly equipped, the Transit can tow up to 7,500 pounds in cargo, chassis, or cutaway cab configurations. All engines are paired with a 6-speed automatic that powers the rear wheels only, Ford doesn’t offer the Transit with four-wheel drive. The 6-speed is competent, but won’t catch many off guard with its deliberate shifts. Rear-wheel drive also rears its head in handling, where the Transit feels more cumbersome than rivals from Ram or Mercedes-Benz. The Transit rides well, but handles like a tall van should. Nicely weighted steering is a pleasant surprise, although we don’t advise hustling a van around a canyon, see our safety note below. The 2019 Ford Transit is comfortable for long hauls or long shifts alike. The 2019 Ford Transit is about getting the job done. Sometimes that’s with people, sometimes without. The front seats are all-day comfortable, shod in vinyl or cloth upholstery, complete with armrests and plenty of storage cubbies up front for pens, tools, notebooks, or computers. When equipped as a passenger van, the rear seats are comfortable and spacious, with seating for up to 15 in some configurations. As a cargo van, the Transit offers up to 487 cubic feet of cargo space—almost enough for its own dedicated ZIP code. For 2019, the Transit cargo is offered with a 129.9- or 147.6-inch wheelbase. A regular, long, or extended body is available with a low, medium, or high roof, depending on wheelbase configuration. The low windows afford good outward vision, while the rear doors swing open more than 250 degrees. A tall roof van can hold cargo as tall as 74.3 inches, which is tops in its class. Like other vans, the Transit can be loud and bulky to drive. Especially with no cargo aboard, which shouldn’t be very often in the big van. The 2019 Ford Transit lacks a full set of crash-test results. Big vans like the 2019 Ford Transit have spotty crash-test results—not all configurations are tested—but what’s in is predictably not great. 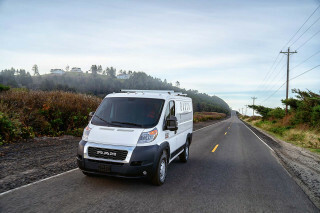 Federal testers give all vans a four-star score for front crash protection and five stars for side impact protection. Most vans don’t receive an overall score at all, however some tall-roof variants get a worrying two-star score for rollover safety—exceedingly rare and poor score. The IIHS hasn’t tested the van at all. 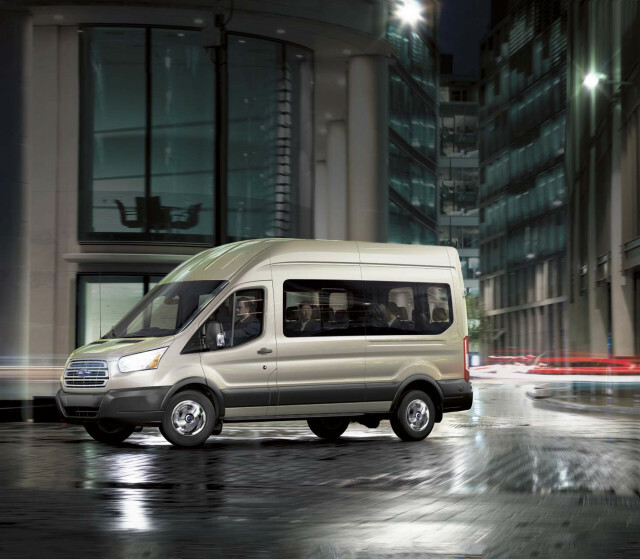 From the factory, the 2019 Transit is equipped with airbags, stability control systems, and a rearview camera. Blind-spot monitors are available on most configurations above the base models. Rear parking sensors are an extra-cost option, and well worth it for such a large vehicle. Most 2019 Ford Transits will be outfitted for specific work detail; what comes from the factory is just a start. If “box on wheels” sounds like a final destination, and not a beginning, the 2019 Ford Transit has good news. Our scale that prioritizes creature comforts does not, however. The Transit is available in myriad configurations—no really, most of the vans will be customized for specific work detail. Available in cargo, chassis cab, or passenger configuration in multiple wheelbase configurations, no two Transit vans need to look alike leaving the factory. Base vans are equipped with vinyl upholstery, air conditioning, a rearview camera, power windows, and a handshake. Passenger versions can add increasing creature comforts such as leather upholstery, navigation, a 6.5-inch touchscreen, better audio, and rear climate controls. Chassis cab versions have seating for two—and that’s about it from the factory. Most vans will be upfitted later on, so equipment from the factory may be less useful than a $3 bill. The 2019 Ford Transit is reasonably frugal considering its capability. 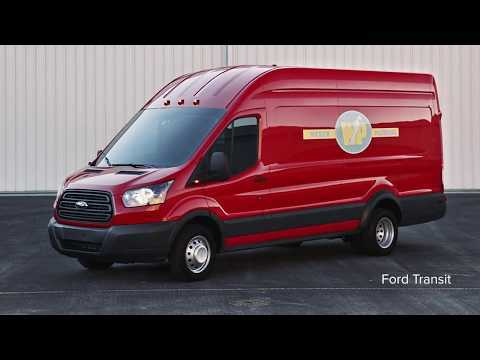 Fuel economy isn’t the first reason most people consider tall, commercial vans like the 2019 Ford Transit. That said, the Ford Transit isn’t as thirsty as heavy-duty pickups can be, which should be a boon for fleet buyers. The optional gas-powered V-6 is a turbocharged 3.5-liter engine that tows and hauls more but isn’t more pain at the pump. The EPA rates the 3.5-liter engine at 15/18/16 mpg. An optional 3.2-liter 5-cylinder turbodiesel is the king of all-day runs, but is not rated by the EPA for fuel economy. Other full-size vans aren’t rated for fuel economy, although most manage combined mileage in the teens. Looking for a different year of the Ford Transit Passenger Wagon?